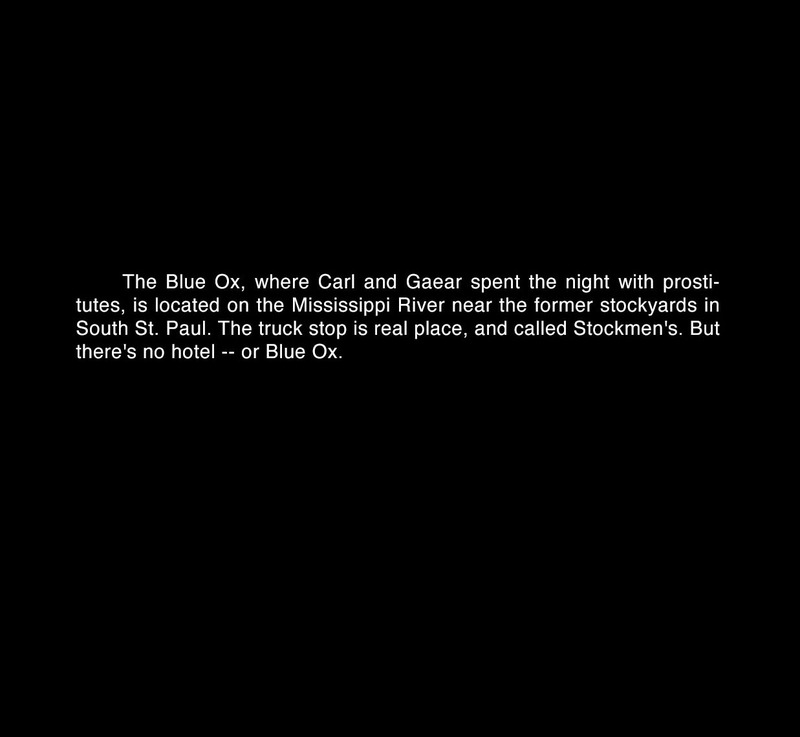 The Blue Ox, where Carl and Gaear spent the night with prostitutes, is located on the Mississippi River near the former stockyards in South St. Paul. The truck stop is real place, and called Stockmen's. But there's no hotel -- or Blue Ox.